Established in 1994, CINE2000 (씨네 2000) has become a prominent production company in Korea. They have produced over 20 films since the company’s inception, including the extremely successful K-horror Whispering Corridors series – Whispering Corridors (여고괴담) (1998), Memento Mori (여고괴담 두번째 이야기) (1999), Wishing Stairs (여고괴담 3 – 여우 계단) (2003), Voice (여고괴담 4: 목소리) (2005), and A Blood Pledge/Suicide Pact (여고괴담 5 – 동반자살) (2009) – which have been incredibly successful both domestically and internationally. 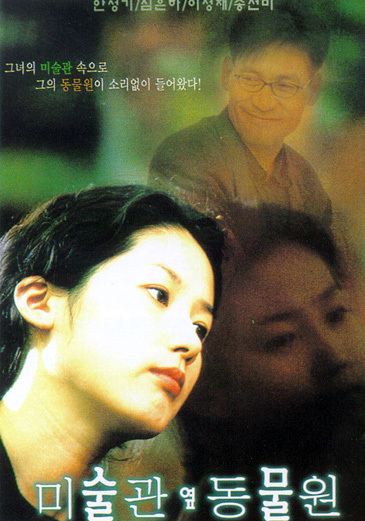 CINE2000 (씨네 2000) has also been responsible for producing several other acclaimed Korean films, including the romantic thriller Addicted (중독) in 2002 starring Lee Byeong-heon and Lee Mi-yeon. Released in 2004, heart-throb Hyeon-bin starred in action film Spin Kick (AKA Taekwon Boys) (돌려차기). In 2007, Hwang Jin-yi (황진이), based on the most renowned courtesan in the Joseon Dynasty, was released featuring an incredible all-star cast including A-list heavyweights Song Hye-kyo, Yoo Ji-tae, Ryoo Seung-ryong, and Yoon Yeo-jeong. Sexual romantic-drama Changing Partners (AKA Love Now) (지금 사랑하는 사람과 살고 있습니까?) also arrived in cinemas the same year, boldly exploring modern relationships with a stand-out performance by Uhm Jung-hwa. Action-comedy Running Turtle (거북이 달린다), starring renowned actor Kim Yoon-seok, was also highly successful critically and commercially upon it’s release in 2009. More recently, action-comedy The Apprehenders (체포왕) featuring Korean acting legend Park Joong-hoon was released in 2011, while 2012 saw comedy crime-caper Over My Dead Body (시체가 돌아왔다) hit cinemas boasting the impressive line-up of popular stars Ryoo Seung-beom, Kim Ok-bin and Lee Beom-soo. Synopsis – A trio embark on a cunning heist to get revenge on a corporation, with the ensuing comical hijinks threatening to derail their plans. Synopsis – Rival detectives from the neighboring districts of Mapo and Seodaemun compete to become the ‘Officer of the Year’ by apprehending a notorious criminal. With a two week deadline, each must use their own set of skills to catch him. Synopsis – The suicide of a student at an all girl’s school leads to horrific events and unveiled secrets. Synopsis – A gambling, down-on-his-luck detective attempts to capture a notorious criminal and win the respect of his family and colleagues. Synopsis – Two married couples meet by chance and, realizing they may have married the wrong person, begin affairs with each others spouses. Synopsis – The tale of the most famous courtesan of the Joseon Dynasty is retold with an all-star cast. Synopsis – At an all girl’s high school, a students is killed by a mysterious attacker. Yet somehow the ghost of the students can still speak to her best friend, and they attempt to find the murderer. Synopsis – After putting most of the taekwondo students in hospital, a gang of thugs must join the team in an effort to clean up their acts and not become expelled. Synopsis – Competing for a place in a prestigious ballet, a student wishes for the role. But when her best friend dies, a series of horrific events unfold. Synopsis – After two brothers fall into comas, their partners are devastated. Yet when one awakens, and begins exhibiting the character of the other seemingly possessed, the relationships and the very nature of love become increasingly complicated. Synopsis – To prepare a surprise party for her boyfriend, a girl asks her best friend to keep him occupied for 12 hours. Yet complications arise as the boyfriend and best friend become closer. Synopsis – A film crew sort through footage and interviews while editing a movie. Yet during the process it becomes clear that the director and an interviewee have a complicated relationship. Synopsis – When two students are ostracized for their lesbian relationship, one member cannot cope and commits suicide. Then macabre occurrences begin happening in the school. Synopsis – The relationship between a wife and her mother-in-law become strained they are forced to live together. Yet as time passes both come to understand the similarities they share despite their age difference. Synopsis – A man return from the military to find his girlfriend engaged to another man. Befriending a screenwriter, the two create a screenplay based on their experiences. Synopsis – The suicide of a student nine years prior comes back to haunt the members of an all girl’s high school, who must also cope with the shockingly violent authoritarianism within the institute. Synopsis – Three disparate individuals, all of whom are suffering hardships, decide to join forces and go on a crime spree to fulfill their goals. 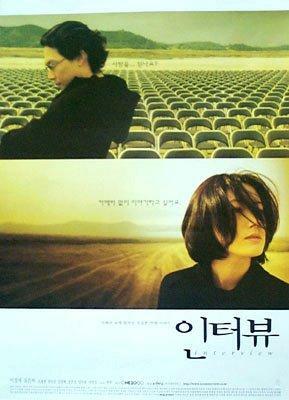 Synopsis – A Korean man named ‘Love’ moves to America, yet becomes embroiled with the criminal underworld. There he meets a dancer and the two fall in love, yet events conspire against them. Synopsis – Thanks to a flattering review of his work, a married poetry professor falls in love with a journalist, and the two embark on an affair. Synopsis – An artist attempts to ‘steal’ the life of her rival by imitating her work and by seducing her husband.